A soft clean palette of beige and white is always inviting. 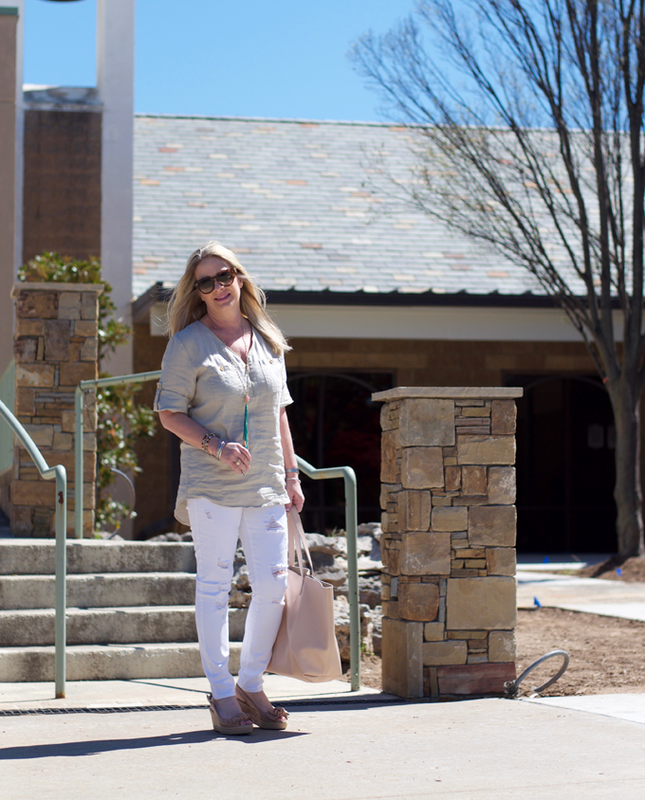 These jeans have been on heavy rotation.... but seriously they are so comfortable! I am so happy tunics are still in style and this linen one is perfect. Other than the wrinkles, it is a great fabric for keeping cool in on warm summer days. 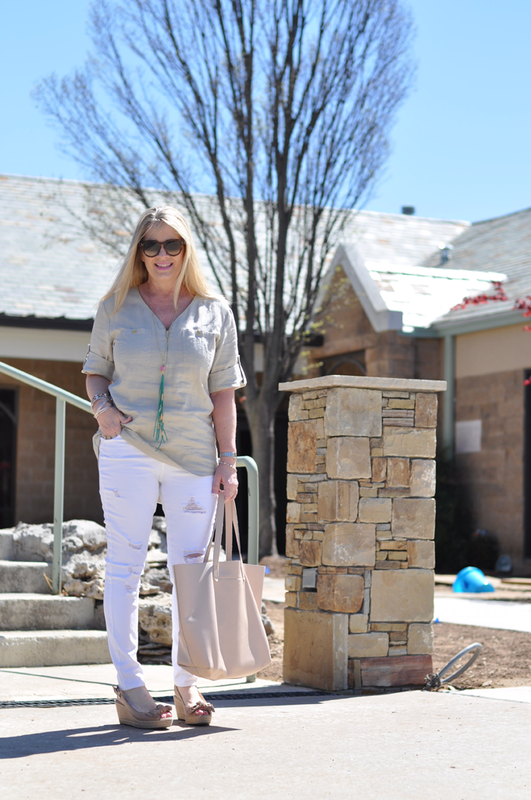 I think the days of crisp linen have been replaced with a more acceptable gently wrinkled linen.... more on the comfy broken in look! The creases don't seem to be as harsh and noticeable in my opinion. As a shorter person I need to give the illusion of height when wearing my white jeans. 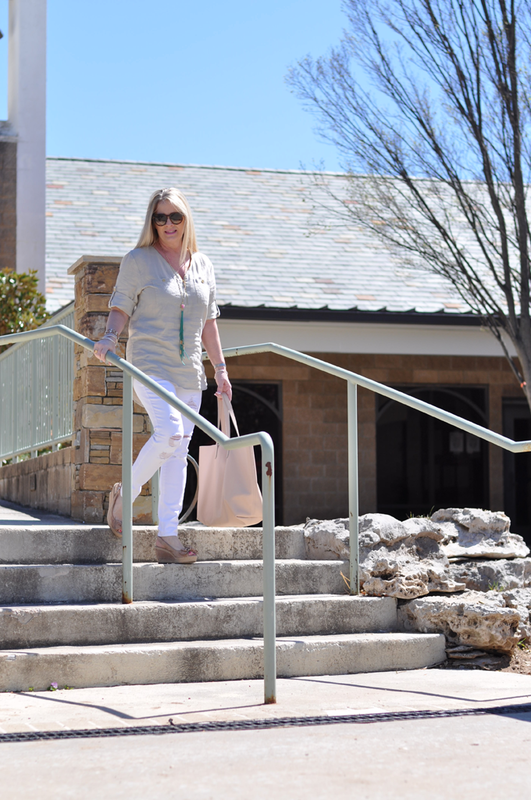 I opt for a longer length top, or a solid neutral to not create breaks in my vertical appearance. 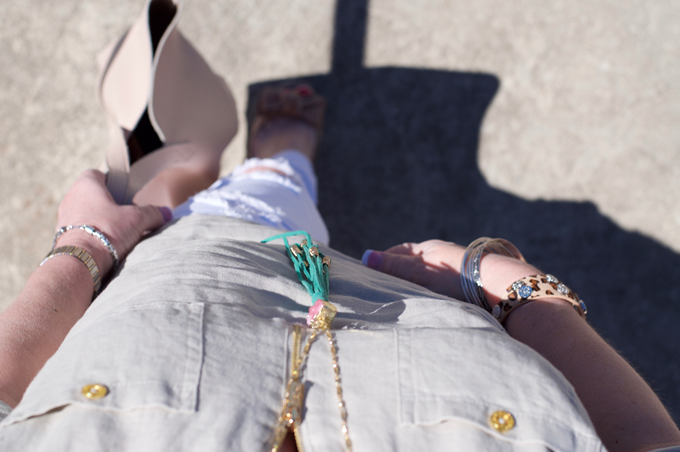 By adding a neutral wedge to my look, I have elongated my overall height to the ground. Makes this short girl look a wee bit taller I think! Style Tip: To give the illusion of greater height and a more slender figure keep your color breaks in your outfit to a minimum and away from your largest areas. For me, a break right at my waist would give the appearance of larger hips...my larger area, so I opt for longer tops and blazers. Another illusion is by wearing a dress or top with an empire waist you will look very thin in the waist, but be warned.... you will enhance your bust line appearance.